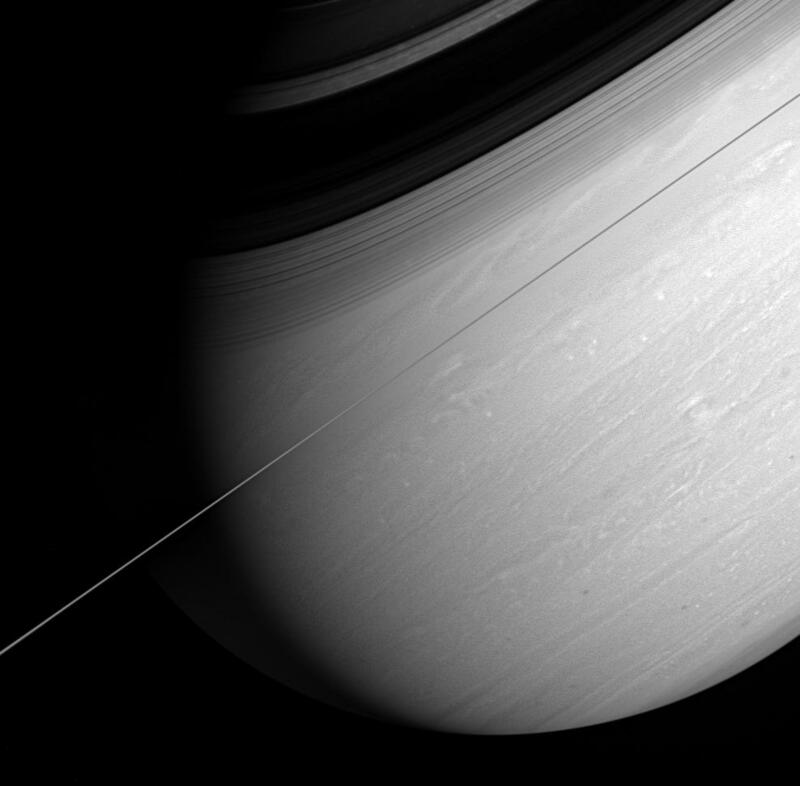 Saturn's whirling vortices and feathery cloud bands are the signs of a restless world. 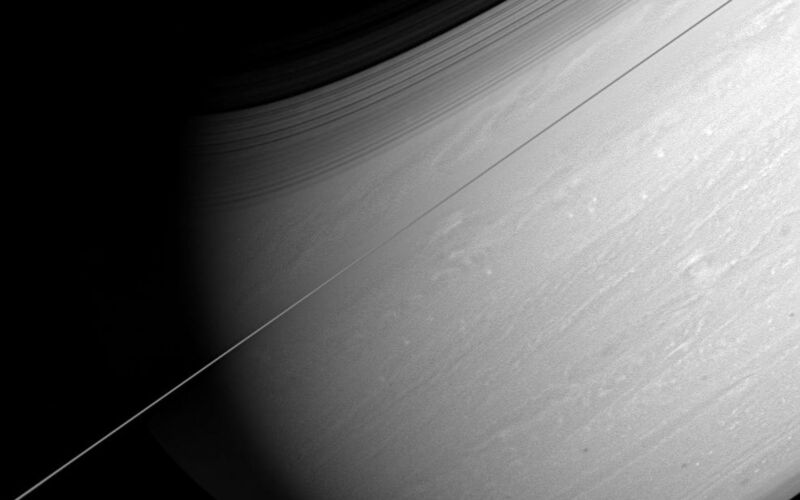 Cassini captured this arresting view of the giant planet scored by bold shadows cast by the rings. 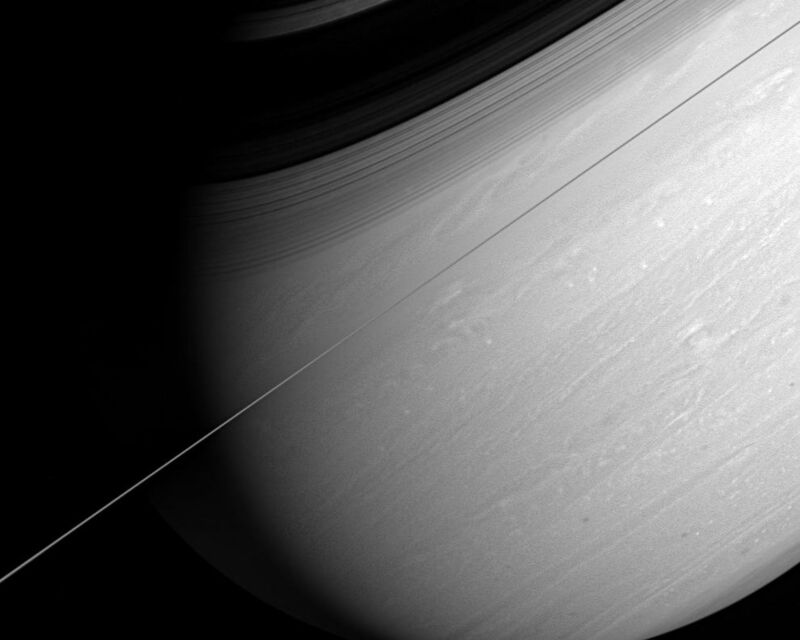 The rings are seen edge-on in this dramatic, artfully tilted scene. 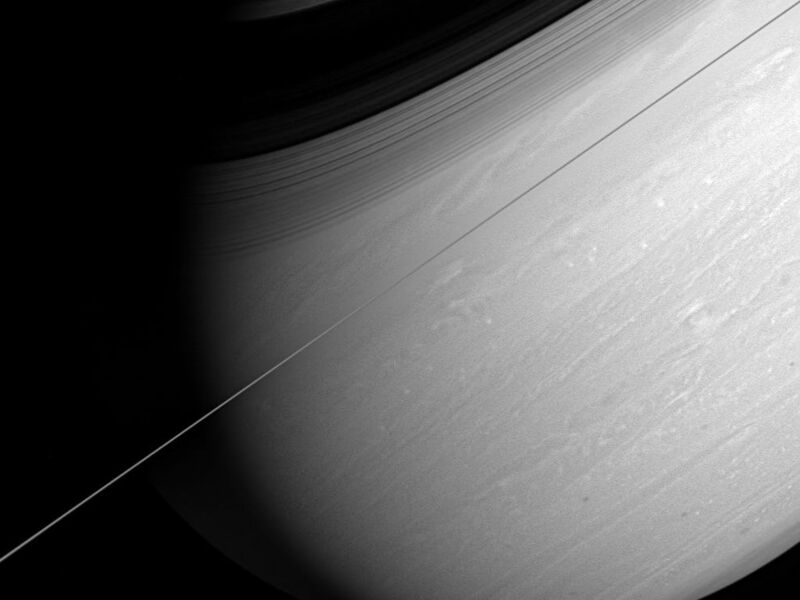 The image was taken with the Cassini spacecraft wide-angle camera on March 6, 2005, at a distance of approximately 1.7 million kilometers (1 million miles) from Saturn through a filter sensitive to wavelengths of infrared light centered at 750 nanometers. The image scale is 10 kilometers (6 miles) per pixel.